Happy Birthday, Mister Jos! Jos Van Immerseel is celebrating his 70th birthday with three important releases that will punctuate the end of the year at Alpha: a symphonic programme (Janacek, Dvorak), a chamber music programme (Schubert) and a set grouping the re-releases of his recordings of French music. These anthologies will once again demonstrate everything the pianofortist brings to the interpretation of the symphonic and chamber repertoires. 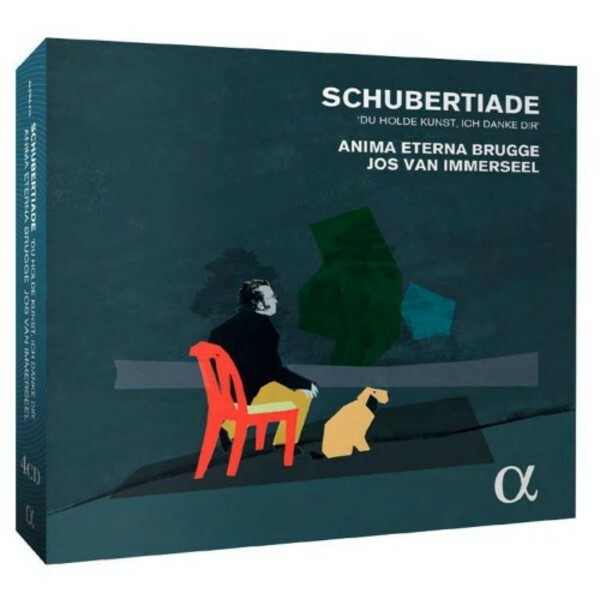 4 CDs, 17 musicians, 32 master pieces: these are the main ingredients of 'Schubertiade' - a compilation of vocal and instrumental chamber music by Schubert, hand-picked and assembled by Jos van Immerseel to form the soundtrack to 4 imaginary Schubertian salons. An ode to the master of Ständchen and Forellenquintett, this recording is also a celebration of Anima Eterna Brugge’s maestro, who, over the past 25 years, has led the orchestra to many happy encounters with his favourite composer.